An orphan named René le Florentin is plucked from poverty to become Catherine de Medici’s perfumer. 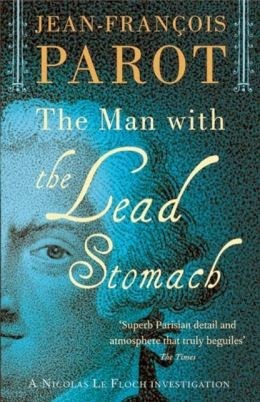 Traveling with the young duchessina from Italy to France, René brings with him a cache of secret documents from the monastery where he was trained: recipes for exotic fra­grances and potent medicines—and a formula for an alchemic process said to have the poten­tial to reanimate the dead. 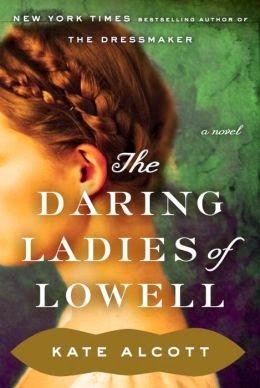 A renowned mythologist, Jac L’Etoile—trying to recover from personal heartache by throw­ing herself into her work—learns of the sixteenth-century perfumer who may have been working on an elixir that would unlock the secret to immortality. She becomes obsessed with René le Florentin’s work—particularly when she discovers the dying breaths he had collected during his lifetime. This mesmerizing gothic tale zigzags from the violent days of Catherine de Medici’s court to twenty-first-century France. 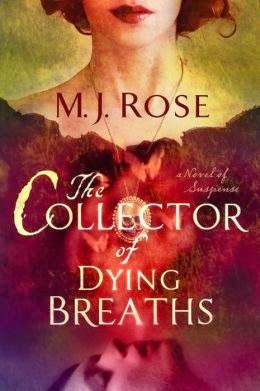 Fiery and lush, set against deep, wild forests and dimly lit cha­teaus, The Collector of Dying Breaths illuminates the true path to immortality: the legacies we leave behind. *Absolutely gorgeous cover on this book. Thanks to Atria Books/Simon & Schuster for this opportunity to review! Shortlisted for the Golden Dagger Award 2013. 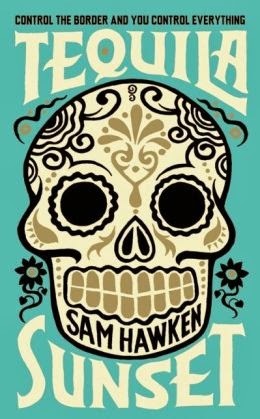 *I think this cover is so cool! It's bright turquoise with gilt...love it. I appreciate the copy from Serpent's Tail publishing and Meryl Zegarek Public Relations, Inc.
A mom, a dad, a baby...and another dad. 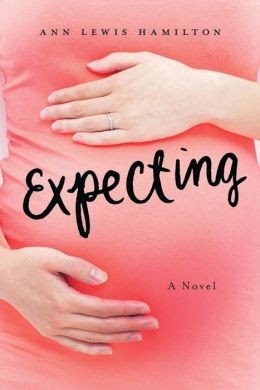 Laurie and Alan are expecting, again. After two miscarriages, Laurie was afraid they'd never be able to have a child. Now she's cautiously optimistic — the fertility treatment worked, and things seem to be different this time around. But she doesn't yet know how different. Jack can't seem to catch a break — his parents are on his case about graduating from college, he's somehow dating two girls at once, and he has to find a way to pay back the money he borrowed from his fraternity's party fund. The only jobs he is qualified for barely pay enough to keep him in beer money, but an ad for the local sperm bank gives Jack an idea. The women in the Hand family are no strangers to either controversy or sadness. Those traits seem, in fact, to be a part of their family?s heritage, one that stretches back through several generations and many wars. A Dangerous Age is a celebration of the strength of these women and of the bonds of blood and shared loss that hold them together. * With many thanks to Algonquin Books, I'm delighted to begin this novel by Gilchrist! 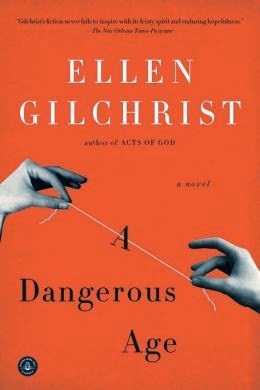 “Gilchrist’s writing is funny, wise, and wonderful . . . Her stories seem charged with an irresistible energy . . . Stories of passion and science, poetry and shyness. *I've already started this book. It's fabulous! 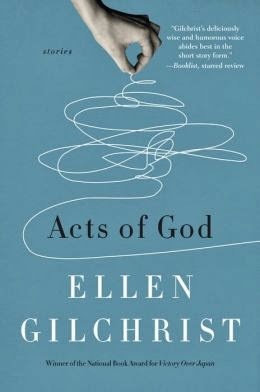 I've loved Ellen Gilchrist since I was in my 30's. Awesome writer. Thank you Algonquin Books of Chapel Hill! 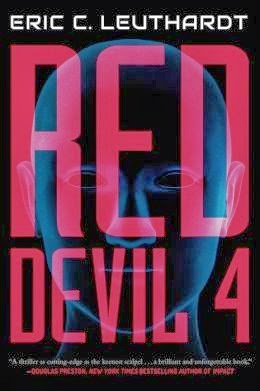 RedDevil 4 is spine-tingling techno-thriller based on cutting edge research from surgeon and inventor Eric C. Leuthardt. 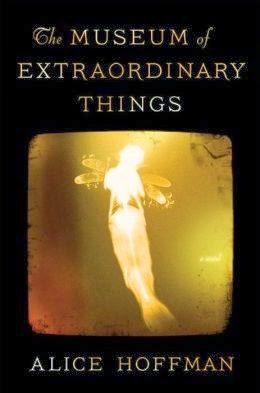 *Started this one the other night and I have hardly been able to put it down. It's a great scientific thriller...highly recommended. Most appreciated to Forge books via Meryl L. Moss Media Relations, Inc.
* Bought this one myself. My grandmother was a mill worker in NC nearly 100 years ago, so I'm very interested in this subject. This book is published by Doubleday. Arthur Conan Doyle has just killed off Sherlock Holmes in “The Final Problem,” and he immediately becomes one of the most hated men in London. So when he is contacted by a medium “of some renown” and asked to investigate a murder, he jumps at the chance to get out of the city. The only thing is that the murder hasn’t happened yet—the medium, one Hope Thraxton, has foreseen that her death will occur at the third séance of a meeting of the Society for Psychical Research at her manor house in the English countryside. Along for the ride is Conan Doyle’s good friend Oscar Wilde, and together they work to narrow down the list of suspects, which includes a mysterious foreign Count, a levitating magician, and an irritable old woman with a “familiar.” Meanwhile, Conan Doyle is enchanted by the plight of the capricious Hope Thraxton, who may or may not have a more complicated back-story than it first appears. 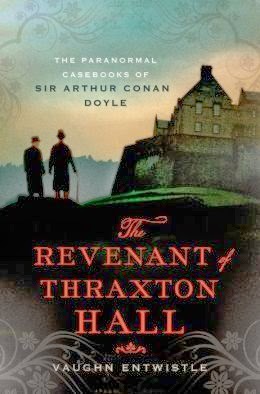 As Conan Doyle and Wilde participate in seances and consider the possible motives of the assembled group, the clock ticks ever closer to Hope’s murder, in The Revenant of Thraxton Hall by Vaughn Entwistle. * This copy most graciously sent by Minotaur Books. Looking forward to reading the story combining Conan Doyle and Oscar Wilde! * Another personal purchase. I adore Alice Hoffman, so can never pass up one of her new books. This one is published by Scribner. In early 20th century British East Africa, there are rules for the British and different ones for the Africans. Vera McIntosh, the daughter of Scottish missionaries, doesn't feel she belongs to either group; having grown up in Africa, she is not interested in being the well-bred Scottish woman her mother would like her to be. More than anything she dreams of seeing again the handsome police officer she's danced with. But more grisly circumstances bring Justin Tolliver to her family's home. The body of Vera's uncle, Dr. Josiah Pennyman, is found with a tribesman’s spear in his back. Tolliver, an idealistic Assistant District Superintendent of Police, is assigned to the case. He first focuses on Gichinga Mbura, a Kikuyu medicine man who has been known to hatefully condemn Pennyman because Pennyman’s cures are increasingly preferred over his. But the spear belonged to the Maasai tribe, not Kikuyu, and it's doubtful Mbura would have used it to kill his enemy. 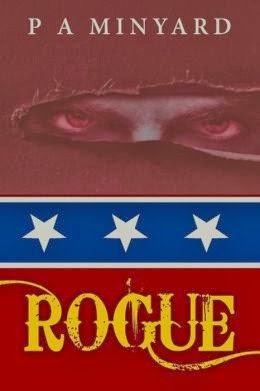 Tolliver's superior wants him to arrest the medicine man and be done with it, but Tolliver pleads that he have the chance to prove the man's guilt. With thote help of Kwai Libazo, a tribal lieutenant, Tolliver discovers that others had reasons to hate Pennyman as well, and the list of suspects grows. 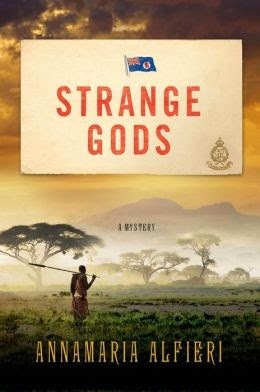 Annamaria Alfieri's Strange Gods is the first in a new series. Romantic and engaging, this mystery captures the beauty and the danger of the African wild and the complexities of imposing a culture on a foreign land. This is the second volume of the Nicolas Le Floch Investigations. October 1761 finds newly promoted Commissioner Le Floch on duty at a royal performance of Jean-Philippe Rameau's latest work. Events take a dramatic turn and Nicolas is soon embarked on a major investigation when the body of a courtier's son is found. The evidence points to suicide, but Le Floch's instincts tell him he is dealing with murder of the most gruesome kind. Jean-François Parot is a diplomat and historian. *This is going to be a strange little book, to be sure! But I'm interested to try it. With many thanks to Gallic Books and Meryl Zegarek Public Relations, Inc.! 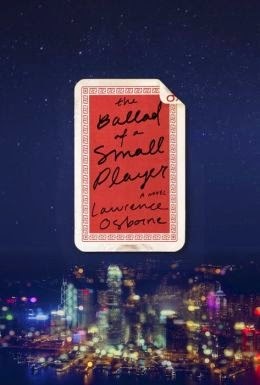 * Looking forward to reading this small book. With many thanks to Hogarth Books. Bound by the attributes of valor and compassion, the Beloved are sent by the Father to battle demons head on in order to help those in greatest need. But as their prowess and power grows they face a new threat, their own weaknesses. Major Daniel Parker's life changes in an instant when he comes to the aid of one his soldiers. 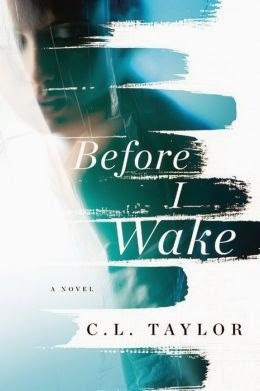 In a flash, Major Parker transforms from a Union Officer fighting in the Civil War to a Beloved. But Daniel's thirst for power clouds his judgment leaving him damned to an eternal hell of suffering and remorse at the hands of an ancient demon. His only chance at salvation now lies with his younger brother, Jonathan. No matter the price, Jonathan will not abandon Daniel. But does he have the strength and courage to save his brother? Can he overcome the temptations that consumed Daniel or will he become a victim as well? The scar upon his chest is the key to who he must become. Contrasting the valiant qualities of the Beloved with the vicious intent of the demons, Rogue inextricably weaves real-life battles of the Union and Confederate armies with the mystical wars between demons and the Beloved. * Just a strange little book sent on by Smith Publicity. I'm curious! I was confused to comment, if I exaggerated when I said it was a remarkable article. I was amazed by the contents and it would like to continue reading even if the eyes are tired. really good article anyway. may I share articles like this obat untuk penyakit tumor otak obat tendonitis/radang tendon cara menurunkan kolesterol tinggi cara mengobati impotensi The article discusses health treatment. The next article also discusses the same thing akibat usus kotor dan cara membersihkannya obat herbal menurunkan gula darah tinggi obat untuk mengatasi anemia these articles I created to share information that might be useful for everyone cara menyembuhkan penyakit jantung gejala dan pengobatan prostat hiperplasia I'd love sharing goodness as with this article, hopefully it can benefit others.